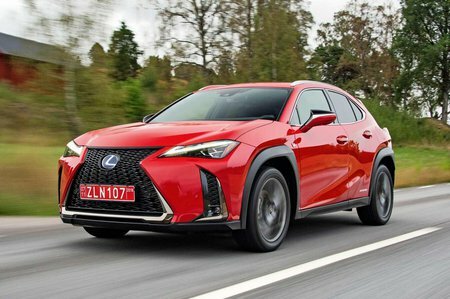 Lexus UX Boot Space, Size, Seats | What Car? The boot is a usefully square shape and has no load lip at its entrance. However, space occupied by the hybrid batteries shrinks the total carrying capacity to below that of key rivals. The UX can take 438 litres of luggage with the rear seats up, compared with 505 litres for the BMW X1. If E-Four four-wheel drive is fitted, its bulky mechanical components reduce load capacity still further. Meanwhile, there’s a decent-sized glovebox and two cupholders in the front, but the door bin pockets are awkwardly shaped and there’s little in the way of clever storage solutions.